It’s no big secret to anyone that Florence – and Italy in general – is not the most ardent scene for modern and contemporary art. Often, if you don’t know your way around, it might even be difficult to come across what is actually on outside the classic collections. There are many reasons for this: of course, tradition and history has a firm grip on the present here. With such rich cultural heritage to look back on it is of course understandable that the focus still is highly aimed on the past, with a high focus on the renaissance days. There are, however, also other reasons for this, like an uncoordinated contemporary art scene, also evidenced by the difficulties you as a visitor might find in getting good listings about what exhibitions are currently taking place. There are also the oh-so-typical Italian systematic problems, which express themselves in no incentives for collectors to exhibit and develop their collections within the borders of Italy. The lack of coordination in turn results in the state not taking much responsibility for the arts and the development of the art scene is left for individual initiatives. But it’s not all gloom and doom, there are valuable modern art exhibitions in Florence as well, but of course less than what you find in other art capitals. There is also a lot that has happened in the past ten years, where the ‘Florence Biennale’ plays an important role, as we reported in the recent past. 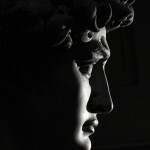 On this page we will list the most important exhibitions currently on in regards to modern and contemporary art, but with respect to Florence’s rich art history we will also add some exhibitions related to Florence’s renaissance inheritance that we find interesting also from a broader, modernistic point of view. We will keep this page updated as events happen, thus, please visit back in the future and don’t forget to visit our other event agendas or our continuously increasing collection of destination information. Aldo Fallai was the name to look up to in the world of fashion photography at the end of the seventies. Through his collaboration with Giorgio Armani he created the most important advertising campaigns of recent decades, what has been labeled as the ‘Made in Italy’ brand, making Italian design the most famous in the world. In this exhibition there are more than 200 photographs presented of male and female fashion models, advertising campaigns, but also of ordinary people like friends of the artist. What likely’s going to be one the absolute highlights of the 2014 Florentine art year, this exhibition will focus on two of the greatest artists in the history of Tuscany, Pontormo and Rosso Fiorentino. These two painters were the most original and unconventional adepts of the new way of interpreting art in 16th century Italy, what Giorgio Vasari referred to as the ‘modern manner’ of painting. The aim of this exhibition is ambitious: the goal is to have an exhibition of major interest not only for the experts, but also to a wider audience. One way of achieving is to have the presentation done in chronological order. This is a unique event that brings together these masterpieces for the first time from Italian and foreign collection, where many of the works are especially restored for this exhibition. ‘Family Matters. Portraits and experiences of family today’ presents the works of eleven international artists: Guy Ben- Ner, Sophie Calle, Jim Campbell, John Clang, Nan Goldin, Courtney Kessel, Ottonella Mocellin and Nicola Pellegrini, Trish Morrissey, Hans Op de Beeck, Chrischa Oswald, Thomas Struth. Via the images the exhibition encourages a deeper investigation into the dynamics and structures that define the concept of familyas we know it today. What does the term ‘family’ mean today? Where are we today in respect to the definition provided by the Italian Constitution, saying that “the family is a natural unit of society founded on marriage”. How is the conflict managed between the individualism of contemporary man and the pressure from the past around the concept of the core family? ‘Questioni di famiglia’ creates moments of reflection around this obvious contradiction around the family concept,and visualises the deconstruction and the ambiguities of these values in our times. ‘Il Potere dello Sguardo’ – freely translated as “the power of the face” – presents 23 suggestive black-and-white large scale photographies of Aurelio Amendola. The motifs? No less than Michelangelo’s statues, like for instance ‘David’. The exhibition is part of the tribute to Michelangelo Buonarroti in 2014, the year which commemorates the 450th anniversary of the artist’s death. Closed on the second and forth Sunday of the month. In a way, it could be said that this exhibition is about street art. But of a very-very different kind. 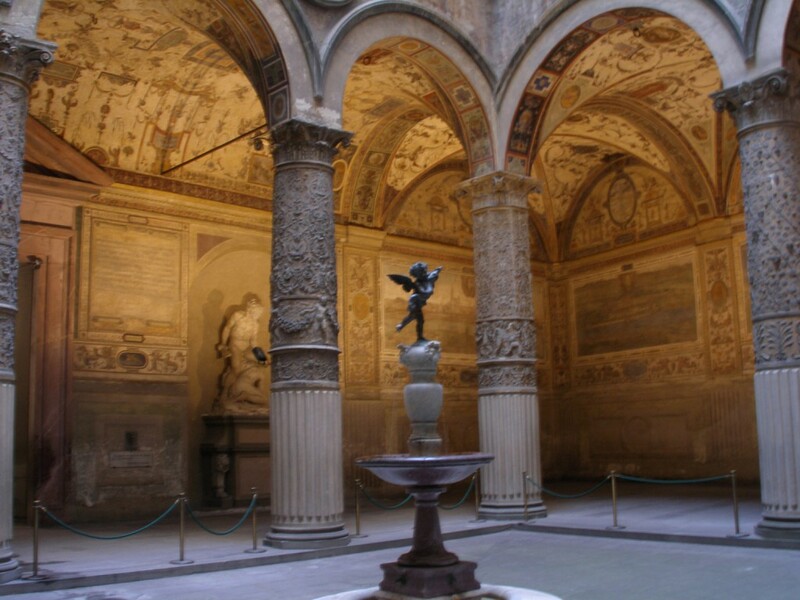 The exhibition ‘Civic Art in Florence from the Middle Ages to the Renaissance’ focuses on works of art originally commissioned to decorate the public buildings of Florence. The approach of this exhibition is unique and the focus is on how images were used in the propaganda and the communication strategies of the ruling classes and the guilds of the past. Your ticket is also valid for the permanent collection of the museum. 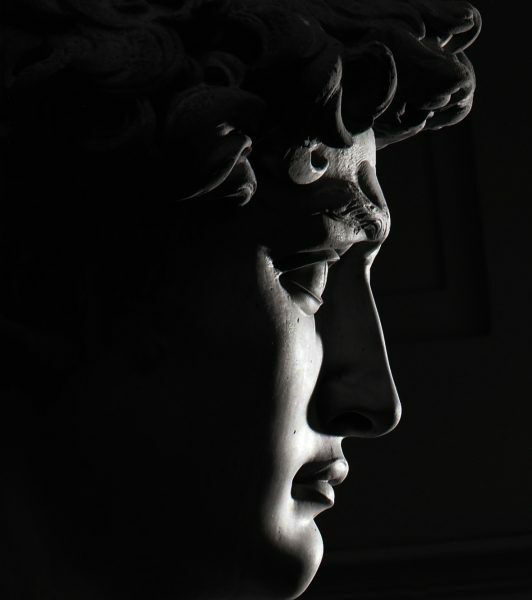 Naturally, the Accademia Gallery is particularly famous for Michelangelo’s the statue of David, but also some others like the Prisoners and the Saint Matthew. Using parts of the lesser-known areas of its rich collection, the Uffizi’s ‘Department of Prints and Drawings’ puts on this exhibit to highlight the special attraction Florence had for many artists from Venice region in the early decades of the twentieth century. Now a century ago, the Tuscan capital was considered the most complete cultural spot of Italy. This exhibition shows Florence’s central role with respect to the revival of engraving in Italy and the so-called art of “Black and White”, which received new stimulus at that time, thanks to many of the artists drawn to the city. Herbert Percy Horne, an Englishman in love with Florence (do you also feel the ‘A Room with a View’-vibe? ), lived and worked in the city and his passions for the arts resulted in a great collection of a multitude of works. This exhibition is the first chance ever to see the collection in its entirety and to relive Horne’s life story via this rare and rich collection. We are adding new content about Florence to the website regularly and we are maintaining our agendas to always show the most up-to-date information. To stay on top of new stories and information, please follow us on Facebook, Twitter or Google Plus. Shortly we are also launching our newsletter with stories, special offers and previews of upcoming events from around the world of art and culture: please subscribe here.